Horner Law, LLC, opened its doors with a single focus: to assist individuals and families in Wilmington and throughout Delaware in their family law matters. The law firm has remained true to its mission. Indeed, Horner Law, LLC, offers a robust selection of family law services, and executes them with professionalism and rigor. With the understanding that legal processes can produce unnecessary stress, the firm is committed to resolving disputes in a cost-efficient, timely manner. Principal attorney Keith M. Horner will work diligently to achieve his clients’ desired results. The assistance the firm provides is comprehensive. The legal team is experienced in negotiating divorce proceedings, guiding clients through property division and settling disputes pertaining to custody, visitation and guardianship. The law firm will endeavor to achieve resolution in child support, spousal support and alimony matters. 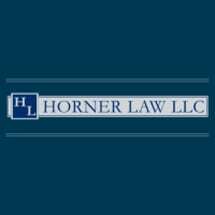 Moreover, Horner Law, LLC, provides counsel on a range of legal considerations closely related to family law. The firm’s lawyers are skilled in helping clients establish wills and trusts to protect their loved ones. In addition, they can ensure your family law documents and estate planning documents are aligned. The firm also offers experienced, aggressive representation in matters of civil litigation and criminal defense. Whatever your legal needs, the legal team at Horner Law, LLC, possesses the experience and expertise to help.